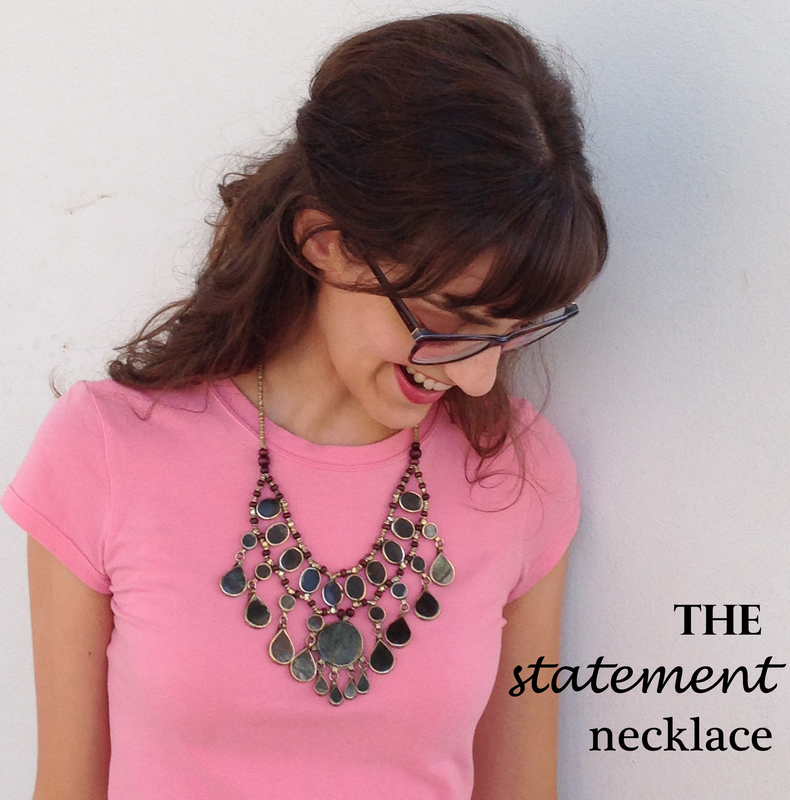 The statement necklace. It has become a staple for any girl’s wardrobe over the last few seasons. You will hear no complaints from me. I love jewelry and accessories! My mom and I have always joked that she is part gypsy due to her love and styling of jewelry. I think this apple didn’t fall far from the tree when it comes to accessorizing. My mom has taught me about jewelry and fostered my love for it. She has even made some of my jewelry. I have also developed a habit of trying to find jewelry from smaller vendors, that are more personal. I believe that jewelry is the icing on the cake and personalizes your look. Which is why I look for pieces when I am traveling. They can become a keepsake from that journey and will remind me of that experience every time I wear it. I introduce to you my newest piece of jewelry and statement necklace! While shopping in Austin on South Congress street, I found this gem at Maya*. There was something about it. Neutral colors are not something I usually go for, but this necklace just popped. The styling possibilities for this necklace are truly endless, which is another reason I loved it. However, I wanted it mainly to go with t-shirts. I knew it would take a basic t-shirt and transform the entire look, as you can see! What is one of your favorite jewelry pieces? I like it! Thanks for your professional input and keeping us up on fashionable trends! !